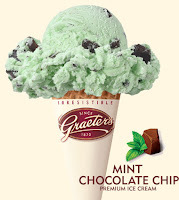 I totally foung Thin Mint and Samoa Girl Scout Ice Cream today and it took everything that I had not to eat it! Isn't it the hardest thing??!! I can't talk about it anymore or else I'll crave Greaters AGAIN! !